As the largest provider of online volume and market share tracking services for the U.S. funeral industry, ObitData.com uses state-of-the-art proprietary technology to offer you the market advantage by collecting online obituary information from funeral home and newspaper websites. Heald oversees funeral home and newspaper partnership development. He was one of the original members of the team that started Tributes.com in 2008, which was acquired by Legacy.com in May 2015. Heald is a fourth generation funeral director and has been licensed in Massachusetts for 19 years. He built a start-up funeral home in 2009 along with his twin brother Jim located in Shrewsbury, MA. A Massachusetts native, Heald earned a Bachelor’s degree in Business Administration from Bryant University and an Associate’s degree in Funeral Service from Mount Ida College. 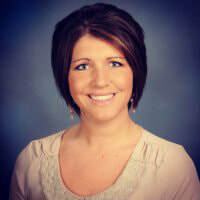 Donahue oversees financial planning and reporting, accounting and human resources for Legacy. Before joining the Company in October 2007, Donahue operated her own consulting company, Burling Consulting LLC. She previously served as Vice President, Operations Quality, for GE Capital’s Retailer Financial Services Division, and as Director of Finance for American Express.